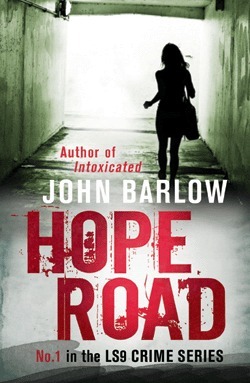 Today I have an interview with John Barlow, author of several books, including the recently released Hope Road. What’s the hardest part about writing a book? When you’re starting out! You might spend a few weeks or months thinking about the plot, or even sketching things out, taking notes, that sort of thing. But at some point you have to go into a room on your own and look at an empty screen (or page). It’s at that moment that you remember just how much work is ahead of you. Yes. But I think they can assume too much importance. I once got a long and euphoric review from the Washington Post and I was quite pleased; a few weeks later the New York Times were moderately (but not euphorically) positive, and it killed me! The tendency is to read too much into them. These days I try and see if I can learn anything from what a reviewer has said, but it’s always difficult to leave one’s emotions on the side. Yes, I tend to write a book from beginning to end. However, after the first draft is done I normally spend at least the same amount of time editing, sometimes more. When I do a re-write for style (rather than for structure or plot points) I sometimes do it in randomized chapter order, so that I’m not thinking about the story at all, just the language. So by the end of ten or fifteen revisions I have actually spent more time NOT working on the book chronologically. Not much. It is designed by Sidonie Beresford-Browne, who works for a lot of the larger British publishers. I really liked her work, and asked her if she’d consider doing Hope Road. My input was simply to explain the tone of the book, its intended market, and the wording. I know I’m biased, but I think it’s wonderful, and perfectly captures the essence of the book. John Barlow was born in Leeds, England in 1967. He studied English Literature at Cambridge University and worked as a university teacher before becoming a full-time writer in 2004. 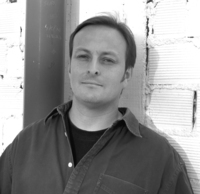 In the US his fiction has been published by HarperCollins and his non-fiction by Farrar, Straus & Giroux. His work has been translated into six languages. John’s police detective girlfriend, Denise Danson, has been warned off the case by her boss. But she doesn’t believe Freddy is guilty, and secretly helps John look for the murderer. The problem, though, is that uncovering the shocking truth about the girl’s death will force John to confront his own criminal past and risk destroying his future, as well as losing the only woman he’s ever loved. The first five people to email John (see his website for contact information) will receive an ebook of Hope Road in the format of their choice. Be sure to tell them you entered from here.